Many Denver area drivers choose to purchase their next new or used Mazda from Sill-TerHar Mazda for the simple fact that we offer a comprehensive inventory backed by a very helpful and courteous staff. We are here to ensure you make an informed decision so that you drive back to Denver with nothing but positive aspirations for your new Mazda. 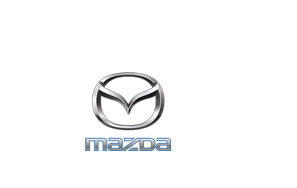 Supporting our strong selection of new Mazda models is an inventory of used cars spanning a variety of industry leading automakers. Each is inspected bumper-to-bumper ensuring it has many more miles to come. If it is featured in our inventory, it is backed by the integrity of our trusted service and repair technicians. Use our interactive directions form below for turn-by-turn navigation from your location in the Denver area to our Mazda dealership in Broomfield. If you have any questions, concerns or would like to schedule a test drive, feel free to contact us online or by phone today. We truly look forward to working with you soon.